This is the closing series of my botanical harmonies collection. The perfect summer color of white can represent a variety of meanings depending upon its shade and tonality. It can represent such meanings as: light, purity, clarity, neutrality, virginity, sterility, innocence, truth, honor, helpfulness, remembrance, reverence, spirituality, and transcendence. Because of its pure and neutral properties, white is one of the most commonly used colors in the design and decoration. It can accent other colors while making other colors more lively and prominent in just about any case. 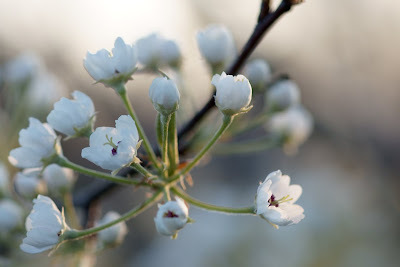 Knowing that white flowers can produce a vast spectrum of color combinations, we can assume that they can take on even more additional meanings combined. White is a key basis of all color and considered the color of perfection by many cultures throughout the world.